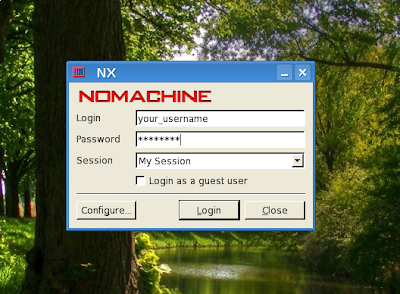 Free NX is a client/server application which allows you to login remotely from another PC into your Linux system. 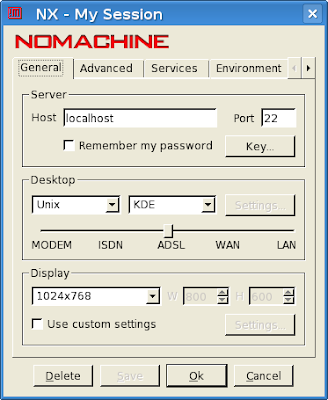 The client is available for both Linux and Windows, so you will be able to login from a Windows machine too. And use your user's password. If the login is successful, you can proceed to the next step. In order to logout, just type Ctrl+D. 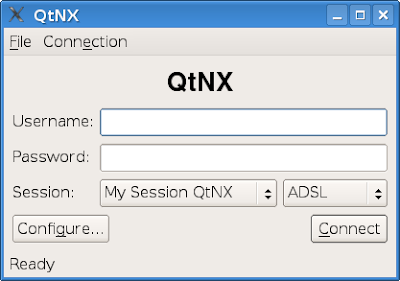 An alternative NX client is qtnx (apt-get install qtnx) but I had some stability issues with it when trying to connect to a machine which doesn't has NX server configured. 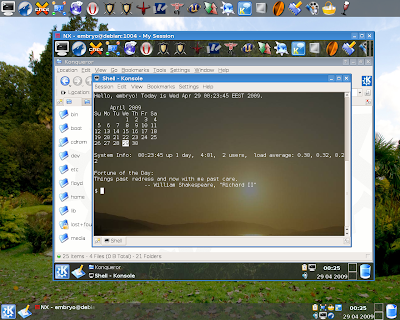 The good thing about Free NX is that clients are provided for both Linux and Windows, so you will be able to login into your Linux machine from Windows without any problems.